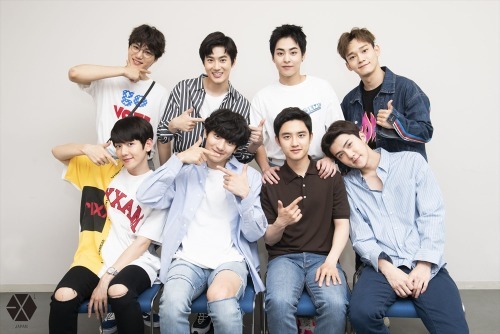 “EXO’s 4th fanclub event, ’EXO-L-JAPAN presents EXO CHANNEL ‘ADVENTURE’’ is complete! This time the theme was ‘ADVENTURE’. The members went on a different adventure on each of the 3 day,s with the themes being ‘space’, 'forest’ and 'castle’. It was a memorable 3 days with the members competing vigorously in each game they played! Also, to get closer to everyone, there were 4 sub-stages prepared from the stage centre, and the members rode around the venue on moving carts. Everyone enjoyed that right!? ‘These 3 days happened in the blink of an eye! It’s sad that it’s already over’, Chanyeol said during the last ment. ‘I’m happy we are able to meet a lot like this! Let’s meet a lot from here on!’ Baekhyun exclaimed. Just like he had said, the members put all their strength into making this fanclub event enjoyable!